A classic rag, as played by Les Raber of Hastings, Michigan. 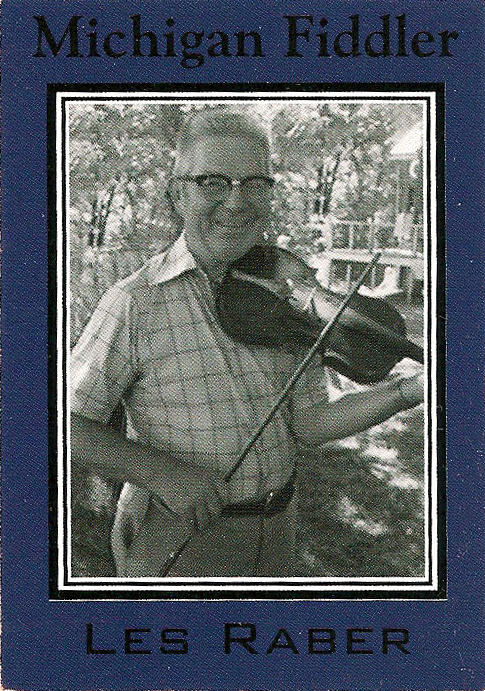 Check out his cool Michigan Fiddler trading card. NB Twenty-four Tunes of the Week have been posted through the first half of 2012. Since the second half of the year just started, I’ve started the numbering back at 1. It’s Battle Ground week! That is, time for the Indiana Fiddlers Gathering in lovely Battle Ground, Indiana, just a couple hours out of Chicago, just off interstate 65. This years festival will be the 40th. I missed the first four, but have only missed two since. Lots of folks look forward to reuniting for a weekend of tunes and friendship. Plus there are concerts on the stage, workshops under the trees and an old-time square dance on Saturday with music by the Bum Ditty Barn Dance Band. On the right is Frank Hall, who was the source for an earlier Tune of the Week. We all need a hero like John Henry. Recorded at a Lark Productions concert in Bears Back Room in Bloomington, Indiana in the Spring of 1982. The concert was a double bill of Bogan & Armstrong along with Yank Rachell. Howard took the lead on this number and Ted Bogan played guitar. Yank Rachell may be playing along on mandolin. Yanks accompanist, Peter Roller, was on dobro. Note: the triplets in the third line from the bottom should be quarter note triplets. Some Abc readers render them as eighth note triplets. 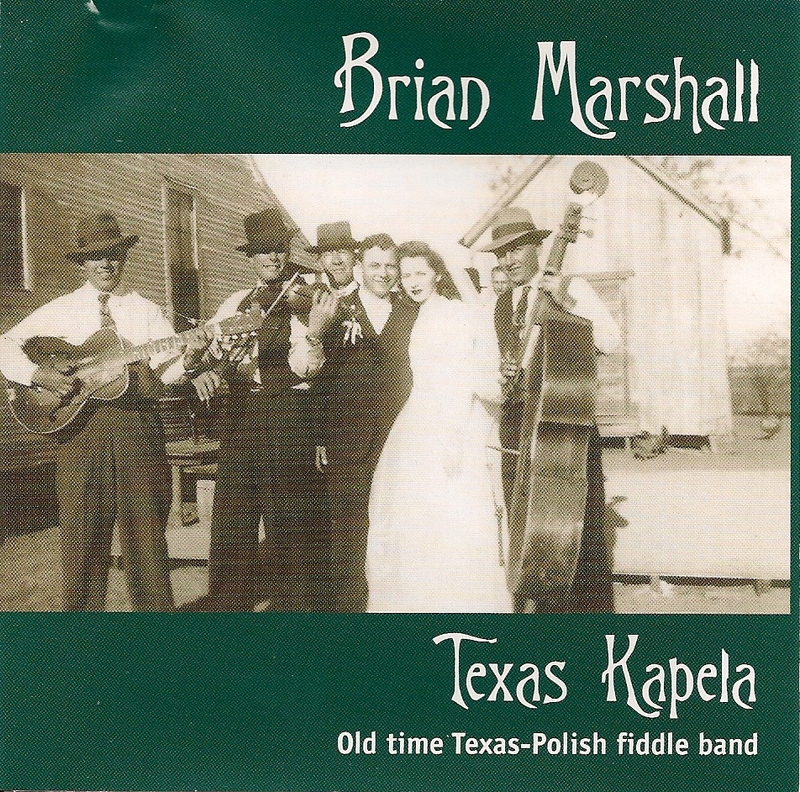 Brian Marshall is a fiddler and band leader from the Polonia (Polish colony) of East Texas, between Houston and Dallas. 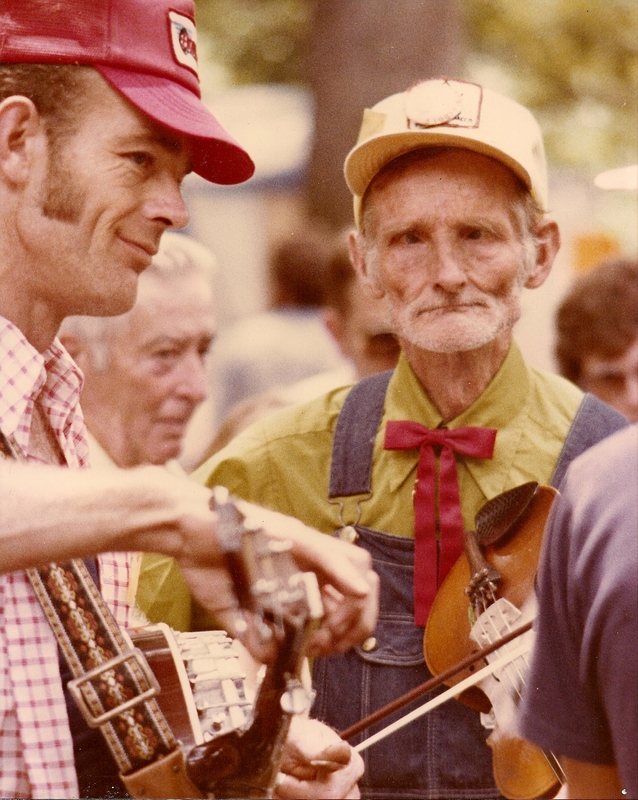 He was raised with old village dance music played by local fiddlers like John Meleski, Raymond Zievert, and–most influential of all–Steve Oksonski. While Brian leads a full-on polka band, The Tex-Slavic Playboys, the following tune from his solo CD features and old country sound. This notation is just a skeleton. Get Brian’s CD from CDBaby and hear his exciting variations every time through. Anders & Maria Larsson of the Swedish band Svanevit will be guests at Fiddle Club on Monday, June 4 at 7 pm in Room E124 — Old Town School East (4545 Lincoln). Click here to register ($15 for a single meeting). Edwin Johnson was born in 1905 in Rättvik, Sweden in the province of Dalarna. That’s almost like being born in Galax, Virginia or Mamou, Louisiana, the heart if a vibrant regional folk music tradition. At the age of 19, he joined the stream of Swedes emigrating to the United States, and made a new home for himself in the twin cities Minneapolis and St. Paul. 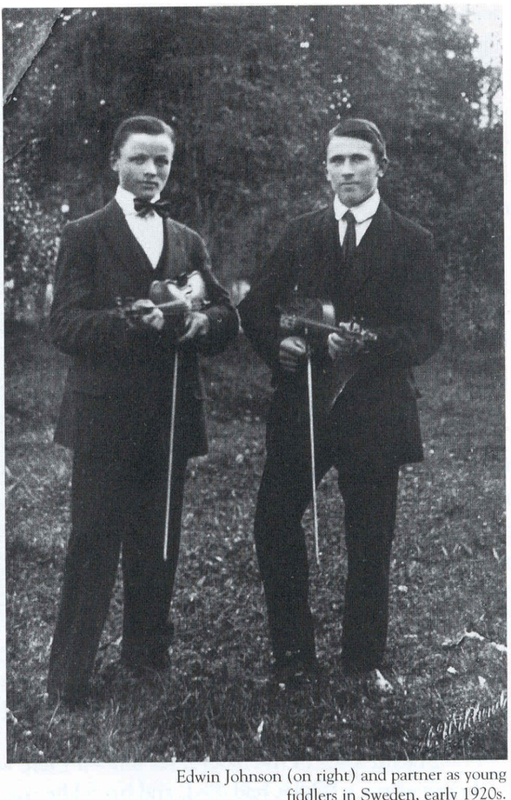 As he helped raise a family, the old Dalarna fiddle tradition was passed on–as heard on this 1977 recording–to his son and grandson. 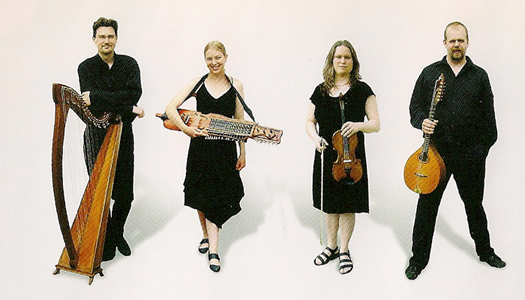 Don’t miss this special opportunity to hear some masterful Swedish musicians at Fiddle Club. Nota Bene: The Old Town School website has been migrating to new servers, and access to the Fiddle Club blog has been a bit spotty over the past week. All problems should now be solved. How ’bout a Cajun waltz? Varise Conner (1906-1994) should be better known than he is. 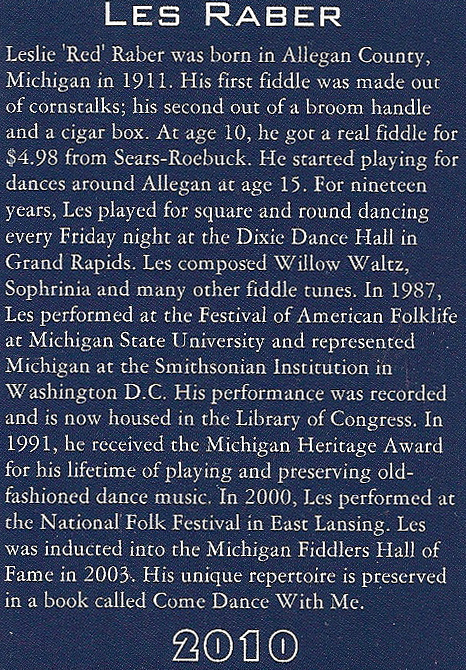 He quit playing for dances in the 1930s in favor of more intimate sessions with friends, like Lionel Leleux. The first album dedicated to his music was not issued until ten years after his death. And what a dandy it is! 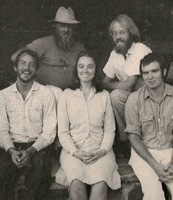 The CD is made from field recordings by folklorist Barry Ancelet in the 1970s. This lovely waltz was recorded in 1938 by J.B. Fusilier & his Merrymakers, a band that at one time included Varise Conner. This is one of two tunes that Fusilier named for his wives. The other is the better known Chère Bassette. Fiddle Club is proud to have brought some great Cajun fiddling to your ears. In our inaugural season of 2008, our lineup of featured guests included Will & Holly Whedbee of the Chicago Cajun Aces. (Click their name to hear some of the tunes.) 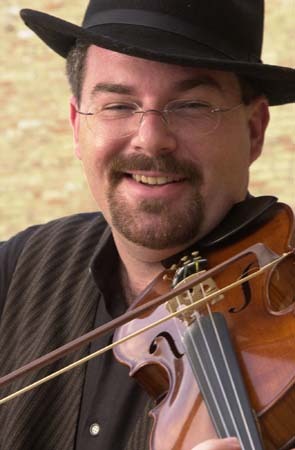 Will was a first teacher of our featured guest for the next Fiddle Club of the World meeting. Single meeting dues is $15: register here. 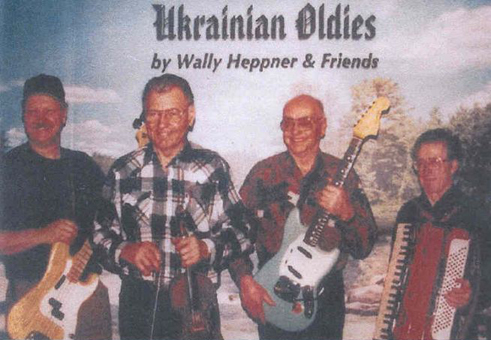 I got to dance to Wally Heppner when he represented the Ukrainian community of Alberta, Canada at the Smithsonian Folklife Festival on the Mall in Washington D.C. in 2006. The band at that event was called Zabava, and besides the fiddling of Mr. Heppner, it featured a tsymbaly, or hammered dulcimer. Used with permission from Paul Gifford, who supplied this link for more on Metro Radomsky and Ukrainian-Canadian old-time. Tune histories are funny things, especially because different names are often given to the same tune, while, at other times, different tunes are given the same name. And often, some tunes seem to slip through the years without any name attached. Little Billy Wilson is a case in point. I think. Are we talking about the same tune? 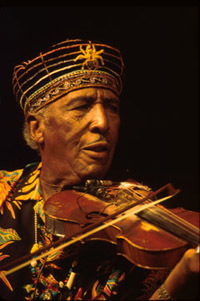 Check out what the Traditional Tune Archive has to say about Little Billy Wilson. 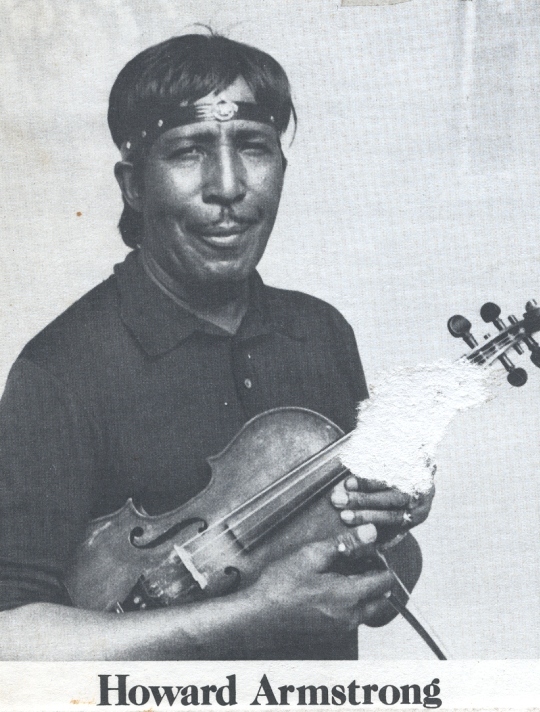 It names Billy Wilson, as recorded in 1926 by Uncle Jimmie Thompson, the first fiddler on the Grand Ole Opry, as the ultimate source for the tune as played today. Lynn “Chirps” Smith, formerly of Grayslake, Illinois, now living on the other side of the Cheddar Curtain in Wisconsin, can play the tune Uncle Jimmie’s way (as well as anybody can that I know.) But this recent recording by him mostly follows the common contemporary setting of the tune. That distinctive first strain appears in many other tunes. According to Guthrie “Gus” Meade, the tune scholar who compiled the incredibly mammoth and helpful reference work, Country Music Sources, Little or plain old Billy Wilson resembles such tunes as Ace of Spade, Jack of Diamonds, Possum Up a Gumstump and Indiana Home. Of course, some of those titles also float around a bit, and have been attached to dissimilar tunes. Nearly 25 years ago, I recorded an Indiana fiddler who played that first strain in a tune he called “Old Woman, Stop Your Quarreling.” Are we talking about the same tune? I’m not sure. And that first strain can be found in two unnamed breakdowns in A, printed in the Old-Time Fiddler’s Repertory: one each in Vol 1 (#37) and Volume 2 (#14). R.P. Christeson collected both of these pieces from Bill Driver of Iberia, Missouri. Paul Gifford also learned a few unnamed breakdowns with that A strain from old-timers in Michigan. But I think it is the second and/or third strain of Little Billy Wilson that carries some of the distinctiveness of this week’s Tune of the Week. That distinctive flavor is reflected in this unnamed tune found in a rare tunebook published in Fort Wayne, Indiana the same year that Uncle Jimmy Thompson recorded Billy Wilson. 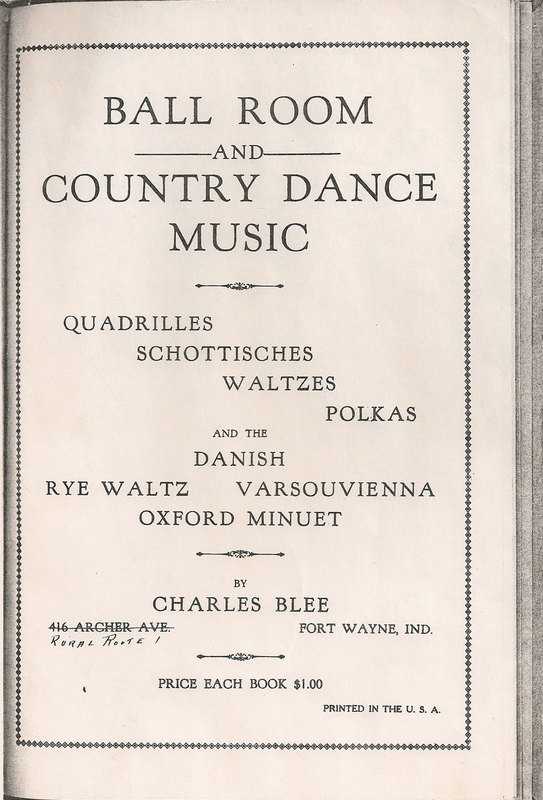 Check out old number 29 below from Charles Blee’s Ball Room and Country Dance Music: Quadrilles, Schottisches, Watlzes, Polkas and the Danish, Rye Waltz, Varsouvienna, Oxford Minuet. And then give a listen to this unnamed tune on hammer dulcimer, recorded by Paul Gifford in 1975 (click on Paul’s name for more traditional dulcimer playing). The ABCs that follow are fairly generic, based on how the tune has commonly been played since the old-time music revival of the 1970s. NB This post has been amended to rectify various assumptions wrongfully made. When thinking of English folk music, most folks probably picture foremost a variety of squeeze boxes–concertinas and melodeons–and with good reason. But Merry Old England did enjoy a wealth of master fiddlers, and the influence of English fiddle traditions upon American old-time music proved just as strong as that of the more celebrated “Celtic” traditions of Ireland and Scotland. This week’s tune is a tribute to the lively and driving traditional music that English folk have danced to for centuries, throughout the length and breadth of their land. Albert Farmer, a butcher before heading off to fight in the second World War, returned home to find his shop was gone. 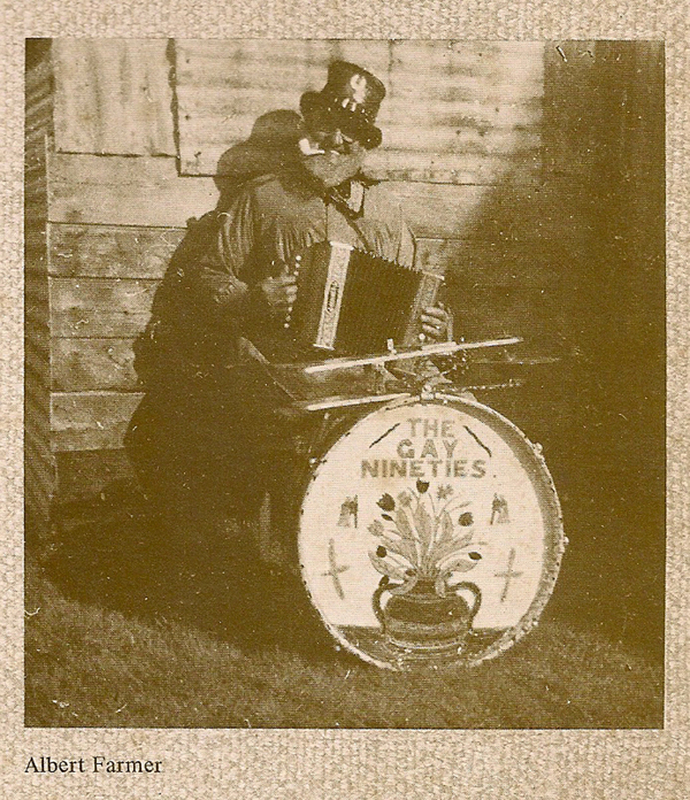 In a career change, he added a drum to his melodeon and became a one-man band and street musician. Click this link for more of his story and the story of the bonfire as told in the Traditional Tune Archive. And now for the tune . . . 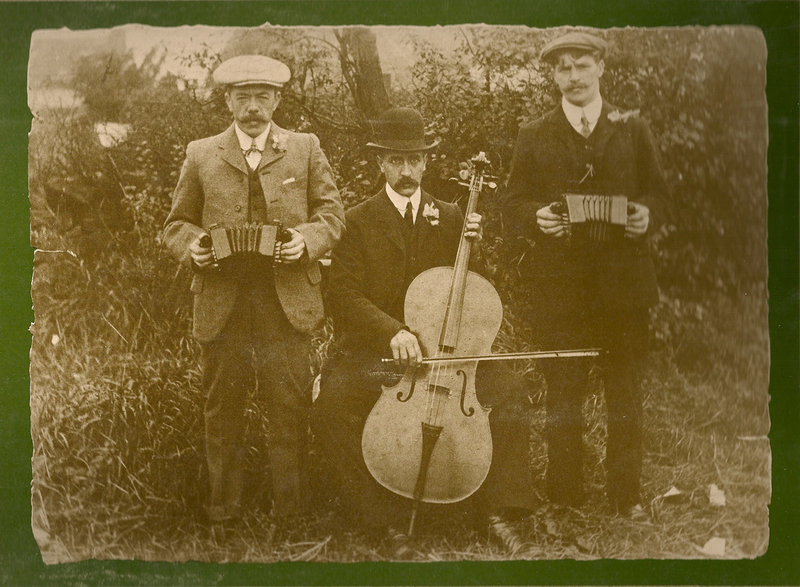 The Bismarks are Nina Hansell (fiddle), Gareth Kiddier (piano) and Ed Rennie (melodeon).